Celine De Graeve is a graduate of KU Leuven in Belgium, one of Europe’s top universities. She has just completed her 6-month internship at EBIG’s office in Timisoara and has the following to say about her intercultural experience of Romania. She wanted to look at things with the idea of country branding in mind. It was great having you over, Celine, and we all wish you the very best for your next step! What’s a product without a brand, without an identity to distinct itself from the competition? Nobody questions the need of products for a brand. Likewise, also countries can profit from a strong identity. So let’s take a look at what “Romania” stands for. Since I am not from Romania, but I have been living and working here for the last six months, I have an unique view on Romania’s brand. A outside, but also an inside view. 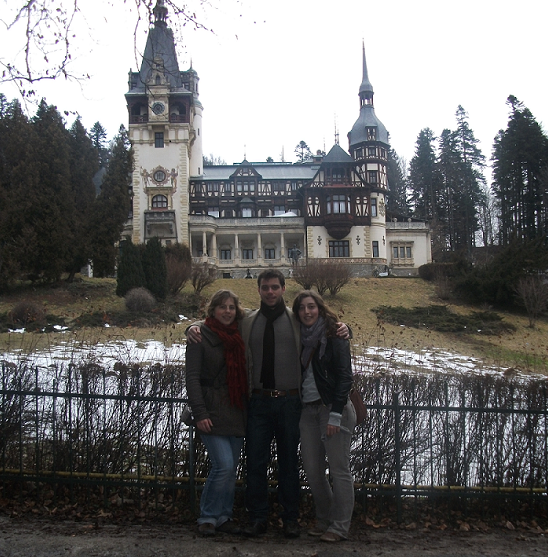 I came to Romania for a traineeship as marketing consultant at EBIG. Before I came here, of course, I did a little research about the country. I wanted to know what I could expect. However, the image didn’t sound very appealing to me. Often I found Romania to be linked with grey, dirty and poor but also gypsies, old communist apartment buildings and the well known legend of Dracula. Still with that idea in mind, I came to Romania because I wanted to find out what Romania was really about. During the six months that I have been here, I got to know the country. I soon learned that Romania is much more than what it’s “brand” stands for. The idea I had before was replaced by a new image based on my own experience here. I called it the “outside in view”, from an outsider living in Romania for a while. Living here, I came across many good sides of Romania. Even some things I’ll miss when I go back. One of the things I really like is Romania’s people which I find to be more open and friendly than in the West. Also the many traditions that are still kept. Like traditional recipes for zacusca and sarmale. But the communist blocs I expected, are indeed very widely spread. However, there are also many beautiful things to see here, like Sighisoara and Sibiu. I also liked Cluj and Oradea. Besides there are many nice monasteries and castles to explore. The castle that I found beyond impressive was Peles. Of course, every upside has a downside. There are things I don’t like in Romania. A classic example is the poor maintenance of the roads, but also many of the old buildings. However, there is only one thing that I really didn’t like, which is a certain attitude that I miss here. The attitude to take matters into your own hands. 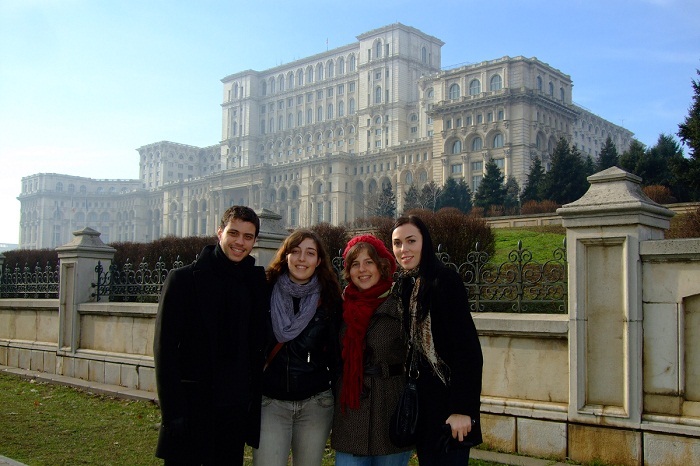 Romania has a lot of opportunities to offer, but you need guts to dare to take them. Too often I have the impression people rather want to escape to places where the grass is greener, than to take on the opportunities Romania has. Personally I had a great experience here. I learned a lot by leaving in another country, another culture. I learned about what is behind Romania’s brand. In conclusion, I can say that Romania is much nicer than people expect it to be. But this negative image Romania has can in the first place be changed by Romanians themselves, they are the best advertisement for the country. Since branding is all about perception, ones perception about Romania has to change to improve the brand image. If Romanians start loving and promoting their country, the rest of the world will get curious about it.Celine De Graeve is a graduate of KU Leuven in Belgium, one of Europe’s top universities. 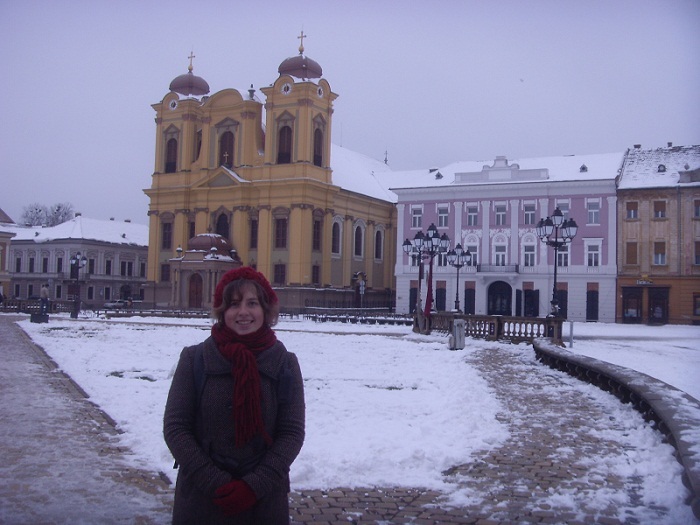 She has just completed her 6-month internship at EBIG’s office in Timisoara and has the following to say about her intercultural experience of Romania. She wanted to look at things with the idea of country branding in mind. It was great having you over, Celine, and we all wish you the very best for your next step! Personally I had a great experience here. I learned a lot by leaving in another country, another culture. I learned about what is behind Romania’s brand. In conclusion, I can say that Romania is much nicer than people expect it to be. But this negative image Romania has can in the first place be changed by Romanians themselves, they are the best advertisement for the country. Since branding is all about perception, ones perception about Romania has to change to improve the brand image. If Romanians start loving and promoting their country, the rest of the world will get curious about it.